Go Deep — Even on a foggy day, clarity is abundant here. 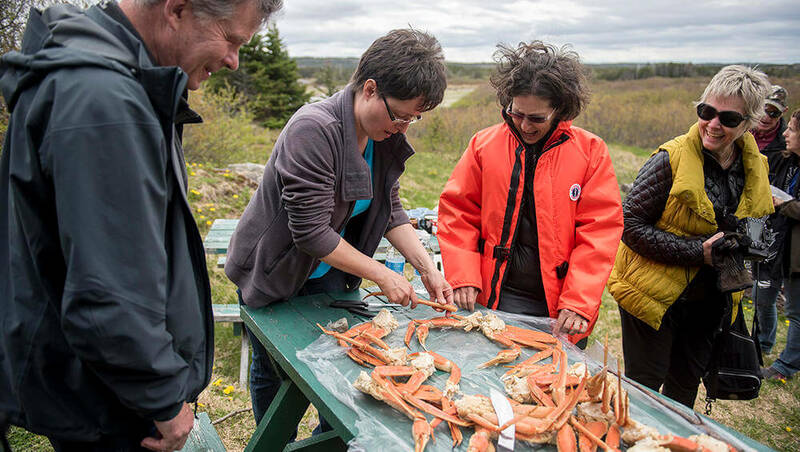 A retreat at Fogo Island Inn sparks deep thinking and new focus. Whether you're talking strategy in a meeting room flooded with natural light, letting ideas bubble up as you walk on lichen-padded coastal trails, or "sleeping on it" in your handcrafted bed, lulled by the sounds of the North Atlantic, you can certainly anticipate powerful breakthroughs. Go Wild — While city retreats pull teams in all directions, what happens here is different; unity grows organically. You'll feast together on inspired dishes made with locally-sourced ingredients—think fresh-from-the-boat cod and snow crab, wild caribou and saltwater lamb, root-cellar staples, sweet-tart berries, and garnishes of delicate foraged greens. Free time is full-to-the-brim time. Sip champagne, gaze at the stars, hot-tub on the rooftop, or grab your binoculars to spot puffins, whales, and caribou. Community Hosts will bring you into their world for cabin time in the woods, a seafood boil-up over an open fire, or a friendly game of shinny hockey. Island life is all about co-operation—where better to build your own team spirit? Go for the Close — You and your team have gone to the ends of the Earth to make the deal happen. Now, it's time for the ultimate closing dinner. In the Inn's Dining Room, floor-to-ceiling windows seamlessly immerse you in ever-changing vistas year-round. 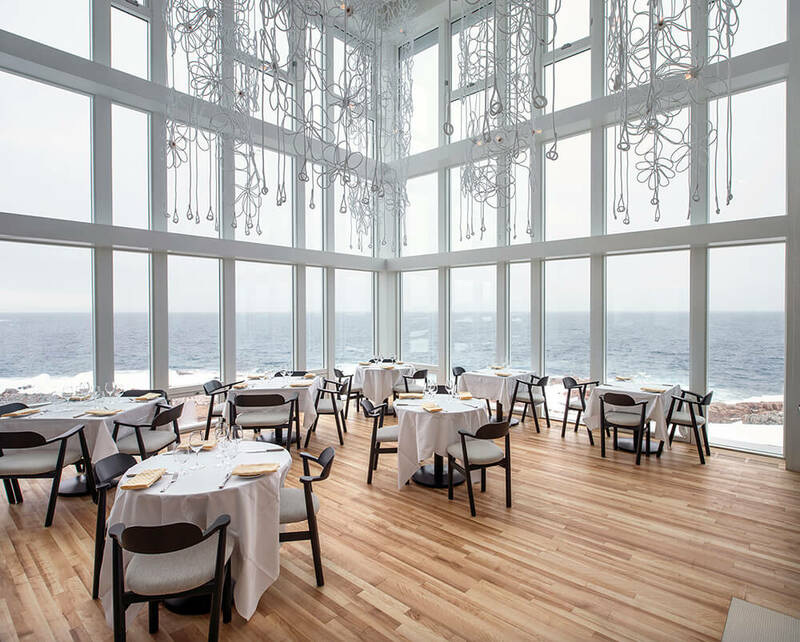 Depending on which of Fogo Island's seven seasons you turn up in, you might see drifting icebergs, breaching whales, formidable North Atlantic storms, or heart-stopping sunsets with skies streaked tangerine and crimson as you dine and toast. Expect to be moved – and to never forget. Indoor Gathering Spaces — The public areas of the Inn have six woodburning fireplaces and stoves designed to create inviting hearths for quiet reading, contemplation and relaxation, or as gathering places to enjoy the company of others. The largest public area, some 2,800 square feet, is located on the Inn’s ground floor. It is home to the Fogo Island Gallery, Tea Room, Dining Room, Lounge and Bar. While the Inn has many spaces for meetings, our second floor Gathering Hall is ideal for most any gathering or confab. It offers up sweeping vistas of the sky, shoreline, and North Atlantic, as well as a peek down into the Dining Room through its delicate handmade chandeliers. This spacious and striking room includes a wood-burning fireplace, in-ceiling projection screen, large wooden conference table, ample seating, conference telephone, and all the support you need for an Executive Retreat. The seating eases a long day of work, and there are plenty of neighbouring breakout spots for smaller groups. You can even step out onto the shoreline rocks for a breath of fresh air, returning refreshed and ready to tackle the most intractable challenges.. The Gathering Hall even has a grand piano, for musical interludes. The second floor of the Inn was designed especially for small groups. The 37-seat state-of-the-art Cinema and adjoining Library, which specializes in the literature of the local region, complete the second floor spaces. The Cinema doubles as a lecture theatre, and the Library provides group seating and floor space suitable for both work and play. And finally, our fourth floor rooftop is the ideal setting for an evening cocktail or breakfast meeting with over 1,130 square feet of outdoor space, a third of it covered. Even more: Secure broadband Wi-Fi technology throughout the Inn, teleconferencing, digital projection with a range of large screen options, PC and Mac laptops, office supplies in tackle boxes, and local guides to deliver anything else you need. If you need more space, it can also be yours at community locations neighbouring the Inn. From touchdown at the landing strip a short drive to the Inn, your team will find invigoration from the raw beauty and drama of this island off an island at one of the four corners of the Earth. And when you set eyes on Fogo Island Inn, an architectural wonder built collaboratively by local master artisans and international leading-edge designers, you'll know your retreat at this property will be a game-changer. In a place created by visionaries, you can only do your best work. 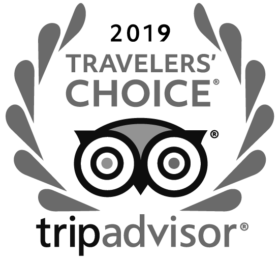 Group rates for each of the Inn's 29 rooms and suites include all meals, access to the Inn's amenities, all gratuities, and land-based excursions.